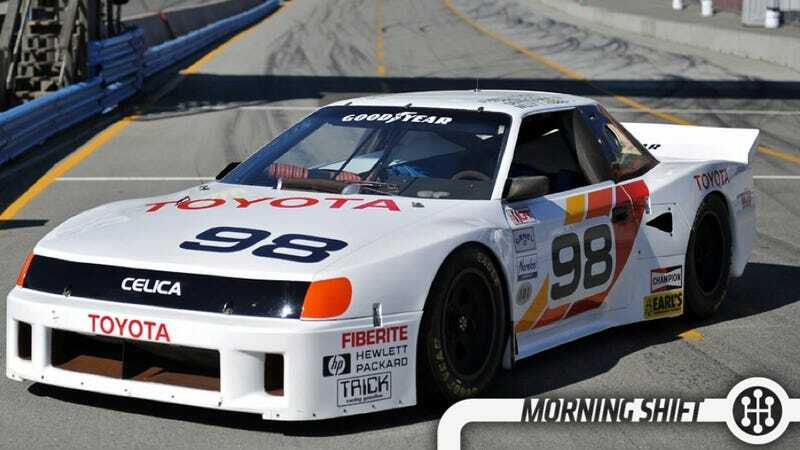 1st Gear: Can America Fix Toyota? Let's get this out of the way first: Most car companies wish they were as profitable and big as Toyota. They're a monster and they are very successful. To their credit, the seem to remember what they did the big and profitable GM a generation ago and have taken their sliding market share in North America as a reminder of what happens when you lose sight of your mission. As we've mentioned before and as is captured in this Wall Street Journal article yesterday, planners in local markets are getting more sway over the design and engineering of the vehicles they sell. This started with the 2014 Toyota Corolla which, at the very least, is a visual improvement over the outgoing model. Toyota's North American operation has gained complete control for the first time over the designs of several models that sell well in the U.S., including the Avalon sedan, the Venza wagon and the Tundra pickup. U.S. executives are getting broader design influence on other vehicles, such as the FJ Cruiser, Tacoma pickup and Sienna minivan. In the past, key design decisions were all made in Japan. Well, we love the FR-S and the new Lexus products are a marked improvement. Here's hoping they keep it up. The new Honda Accord Hybrid is striking back at the Ford Fusion Hybrid with a 50 MPG City fuel economy rating that's 3 MPG better than the Fusion Hybrid in the city, although they have the same combined MPG at 47 MPG as the Fusion Hybrid is rated 47 MPG highway and the Honda Accord is only 45 MPG. Which is to say: both of these are good cars and both get great MPG. If you drive a lot in the city maybe look at the Accord and if you're a highway cruiser maybe look at the Fusion. Also, it's the first hybrid Honda built at Ohio's Marysville plant so… USA USA USA! Who will replace Alan Mulally? Will it be Carlos Tavares? Will it be Mark "Execumullet" Fields (note: we like Mark Fields, but we've made fun of his hair for so long it'll be interesting to see how they treat us)? Some crazy outsider? It doesn't matter for now, as Bloomberg reports he'll be at Ford at least through 2014. BTW, this is a smart move. Has anyone earned more praise (mostly deserved) for running an auto company? Get out while you're head, move to Seattle and try to save Microsoft. Right? That's what's going to happen? While we have a lot of nostalgia here for the time when Detroit helped save the world and built B-24 bombers, tanks and other things used to blow up other things, it's probably fitting that the trust set up to deal with the remains of Old GM is going to be demolished to build a new advanced connected vehicle research center. Detroit-based Devon Industrial will supervise demolition by contractor MCM Management of Bloomfield Hills. Walbridge Development, a subsidiary of Walbridge Group Inc., plans to buy the majority of the 332-acre site. Walbridge would redevelop it into a shared research and development center and test track for connected vehicles, pending an agreement with Ypsilanti Township that it is beginning to negotiate, Rasher said. Walbridge, which has served as general contractor and manager for the construction of many automobile manufacturing plants, could buy the site within a year, Rasher said. The sales price is not being disclosed. 5th Gear: Auto Sales A Good Or A Bad Sign? Yes, Americans are buying tons of cars. Maybe as many cars as in the 90s when you could get rich on a website fronted by a sock puppet and no one had any debt. Or maybe not. Megan McArdle over at Bloomberg View throws water (and lease data) on the idea that we're all done with the recession just because people are buying cars. But the new leasing business is disproportionately coming from farther down the food chain: Chevrolet Malibus, Honda Accords and Toyota Camrys. While it’s boosting sales right now, that’s not necessarily a good sign for the auto industry. It’s long been a danger sign when companies had to put a lot of “cash on the hood” — incentives, like rebates, no money down, or zero percent financing — in order to move cars. In some sense, leasing is just a slightly more exotic form of “better financing terms.” Think of them as the option ARMs of the auto market. On this day in 2007, Volkswagen of America announces that it is moving its headquarters from Auburn Hills, Michigan to Herndon, Virginia. The company made the move, it said, to be closer to the East-Coasters who buy most of its cars. "You want to work in an environment where you see your customers," Volkswagen CEO Stefan Jacoby told the Washington Post. "You don't want to work where you basically see only American cars of the Big Three." Neutral: What was the best era of Toyota in North America? Why? Let's talk Toyota.